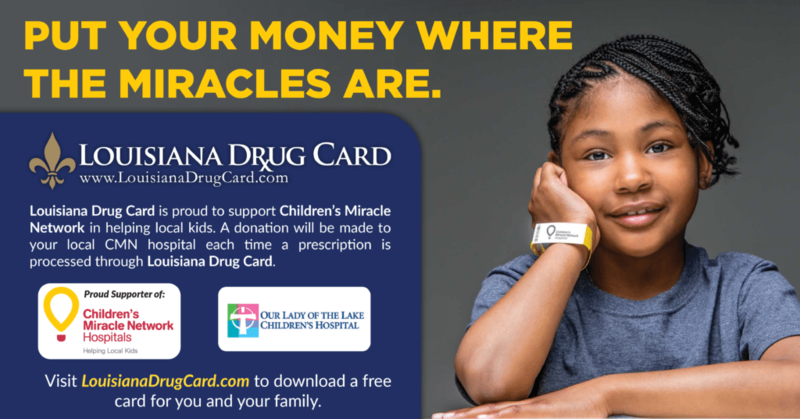 Louisiana Drug Card is proud to support Our Lady of the Lake Children’s Hospital in helping kids. A donation will be made to support our hospital each time a prescription is processed at your local pharmacy through Louisiana Drug Card. 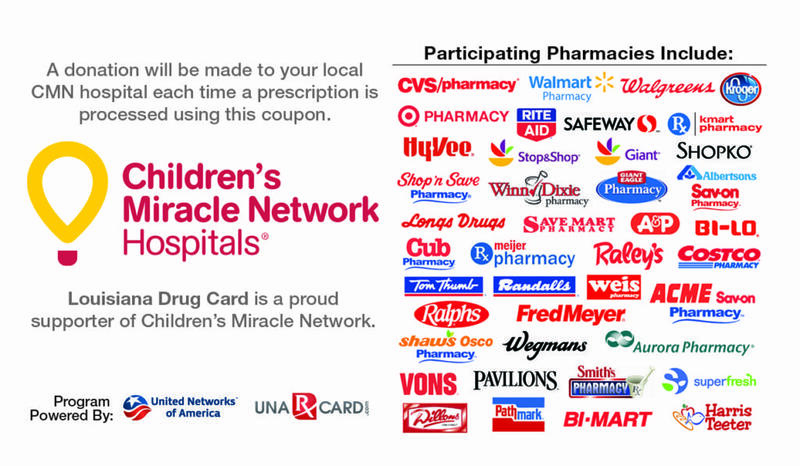 See the image below for a full list of where the Lousiana Drug Card is accepted and download your free card here today.